in shape for any summer party. As the weather warms and days stretch long, we gravitate to the outdoors. Backyard barbecues and summer soirees invite your guests to relax and enjoy your hospitality—but where do you start to create the most welcoming outdoor entertaining space? There's more to making the most of your outdoor space than plopping a grill on the grass and filling a cooler with beer (not that we'd turn that party down). Here we'll take you through some outdoor entertaining fundamentals to help you kick off the summer in style. Go beyond yelling at the neighborhood children to get off your lawn, and define your party zone. With thoughtfully arranged lighting and furniture, you can create a natural flow that directs your guests to the appropriate areas of your yard and discourages them from straying. Dramatic uplights on trees, walls or fences around your perimeter are at once a beautiful way to define your space and quite harsh to the eye when you're too close (read, standing on top of them). This can encourage guests to keep at a distance from planted beds and edges and focus on the festivities. Natural focal points are a no-brainer for entertaining al fresco. From a stunning old-growth oak to a brand-new swimming pool, there are lots of outdoor features worth admiring with company. Point your seating toward your most treasured view and expect conversation to flow. If your yard is small or nondescript, make your guests their own focal point by arranging seating vignettes around low tables, and enhance the intimacy with candlelight or portable (and dimmable) lamps. Whether you're hosting a cookout or having it catered, your party will benefit from a clear sight to the cooking area. Ensure that your paths are clear between cooktop and table, and there are no tripping hazards or rough terrain. Adequate path lighting can be key here, especially if your barbecue is at a safe distance from your home-adjacent patio. Similarly, if you're whipping up dinner indoors, be sure the eating area is easy to get to with your hands full. Often, kitchens or dining areas will open onto a patio which makes them ideal for easy service. If your space and budget allows, however, an outdoor kitchen can be installed nearer to the feature you love most. Outdoor entertaining can be as elegant as you like, with table settings and outdoor-safe textiles that are a sumptuous as they are durable. Beautiful accessories help liven up the party, and accent lighting can give your table a twinkle. Try outdoor torches or portable fireplaces for instant mood, or hang string lights to give your space a charming, European bistro vibe. One thing that’s sure to send your guests home early is an uncomfortable space. If you’d prefer your parties to go over with a bang rather than a fizzle, keeping everyone comfy is a top priority. Sometimes even a great backyard lacks one important component: shade. While it can be fun to soak up the sun, glare is a serious hindrance to enjoyment, and all that UV can be unsafe for your skin as well as your eyes. If your space lacks trees, portable umbrellas or shade canopies can bring the shade wherever you like. And you don’t have to wait 20 years for it to grow into something useful. And don’t discount comfort on a lower level, either. 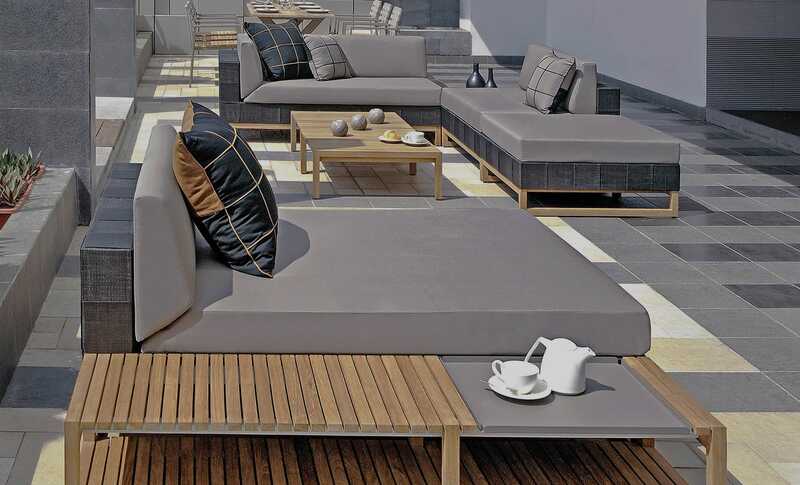 Cushions and pads for lounging outside can make the difference between a stiff, standing-room-only gathering and a long, lovely evening spent reminiscing with friends. Finally, some of us live in climates where the evening breeze might send partygoers indoors to escape the chill. Add some portable firelight, comfy cushions and a cozy throw, and your party doesn’t have to end with a turn of the weather. With these tips, you can begin to plan your outdoor entertaining areas and be your block’s life of the party for seasons to come.